If you say nasty things on Twitter, your reach across the network may be temporarily diminished. Twitter recently introduced a new weapon to combat trolls on its network: the timeout. Last week, the social network rolled out a new feature that tries to detect abusive behavior from user accounts, as first reported by BuzzFeed. When abuse is suspected, Twitter reduces the number of people who can see that person’s tweets for a pre-determined period of time. 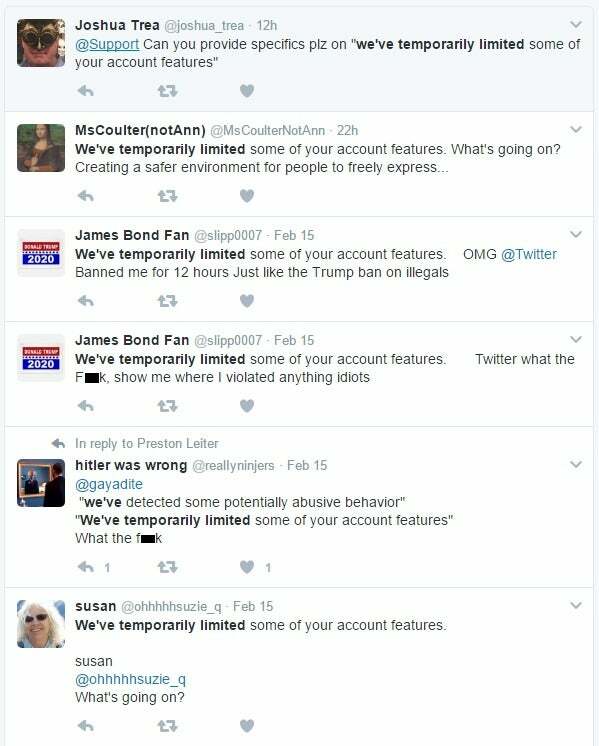 A Twitter search result showing users reacting to temporary limits on their account. 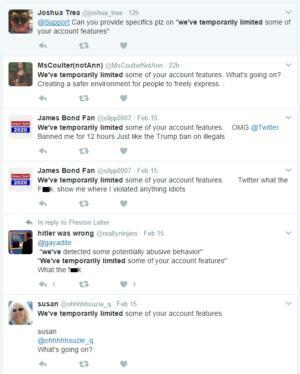 Only people who actively follow an account will be able to see its tweets while the account remains in timeout. That will prevent nasty messages from appearing in the timeline and notifications of anybody who doesn't explicitly want to see tweets from the timed-out user. The initial round of timeouts seem to all be 12 hours in length. It’s not clear if Twitter will use other time constraints of shorter and longer durations, or if 12 hours will be the standard. Why this matters: Twitter has had a problem with abusive tweets a while now. Until recently, the tools Twitter provided to combat abuse were somewhat limited. In August 2016, for example, Twitter allowed users to only see “at mentions” from people they follow. The problem with that solution is it effectively puts the targets of abuse in a protective bubble, reducing their ability to interact with others on Twitter. This new system reverses that and puts the abusers in a bubble for a limited time. At the same time abusers are not restricted from interacting with their followers. On Twitter, even going after the president and other politicians can earn you a timeout. While limiting abuse is a great idea, it may take some time for Twitter users to get used to the new standard. 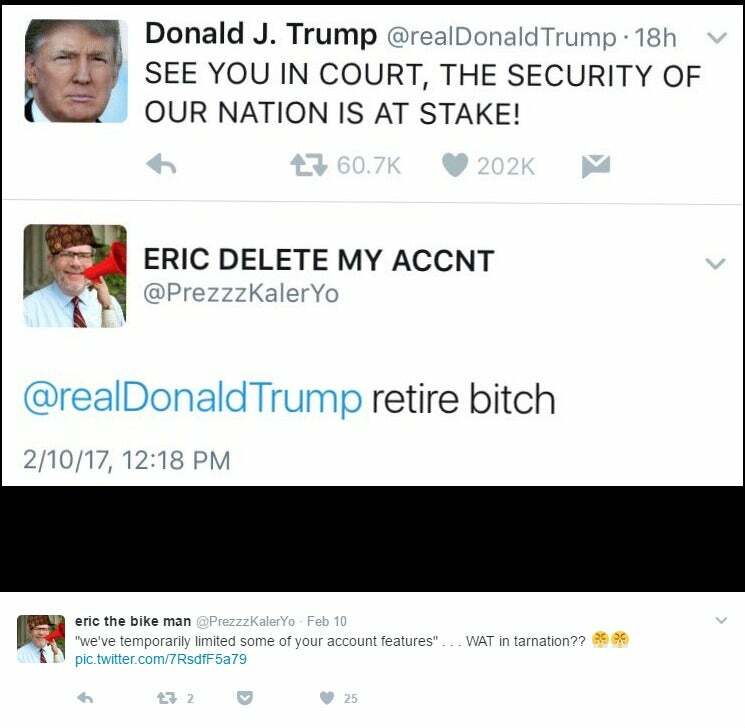 Twitter isn’t just limiting the reach of trolls, but people who may criticize politicians a little too aggressively—as the user above discovered after replying with the same message to President Trump and a number of other politicians’ accounts. Last week Twitter announced a number of other abuse-fighting measures, including attempts to stop users from creating new accounts for abuse, improved search results, and collapsing abusive or “low-quality” tweets. More recently, Twitter had to roll back an abuse-fighting measure that stopped users from getting notified when they were added to a user-curated list. People experiencing abuse online argued that this was a bad solution since it prevented people from seeing if they were being added to a list of possible harassment targets. Twitter quickly dumped the change.